I am very excited to share with you my feature in Simply Shabbilicious Christmas magazine 2015! EEK! I’m so excited. 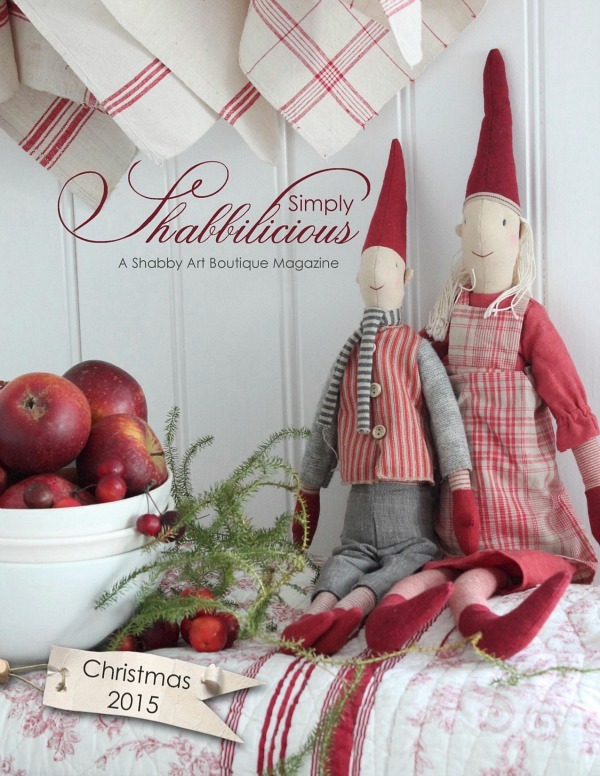 My friend Kerryanne from Shabby Art Boutique finally has her Christmas magazine out….and I’m in it! 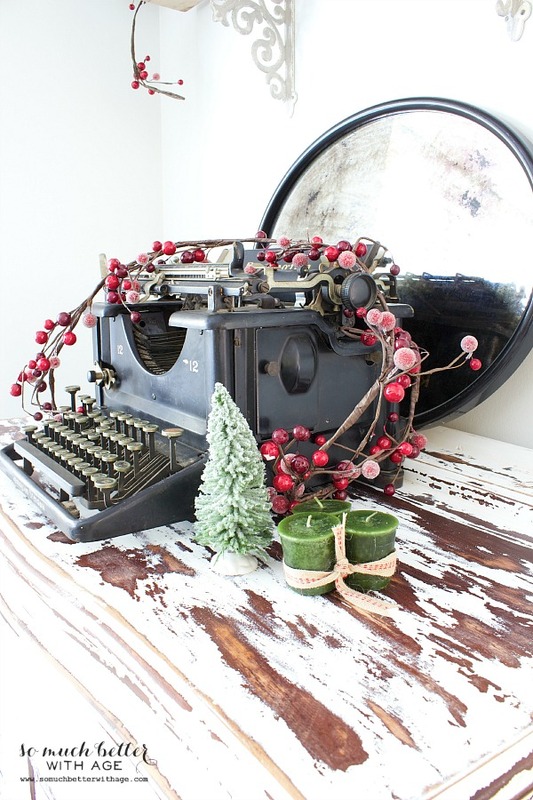 She produces her very own free online magazine with gorgeous European design. I’m in awe of what she pulls together twice a year. Okay, here is a sampling of what’s inside! 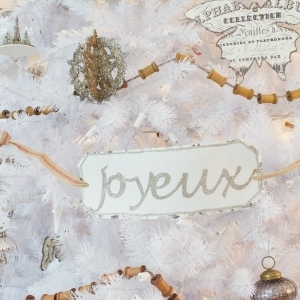 My French vintage Christmas tree from last year is in the pages. I just love that white tree of mine. You can see more of the details here. 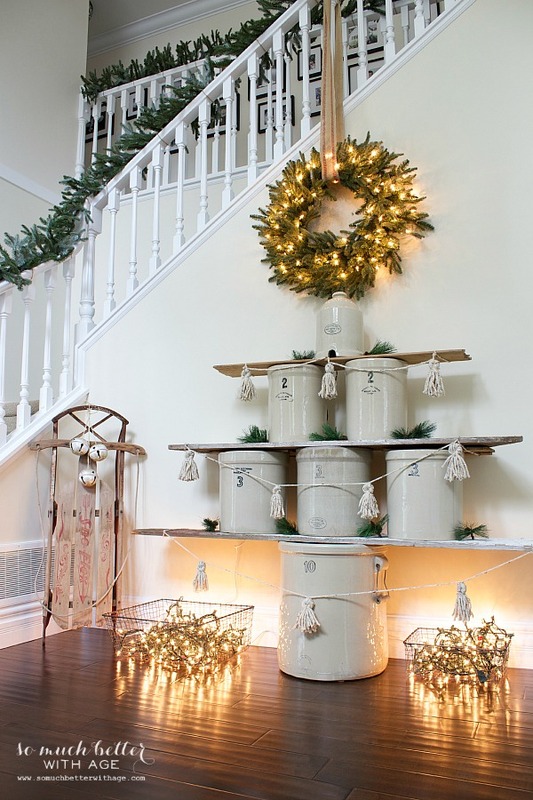 My Crock-mas tree was so fun to make using old wooden boards with my collection of crocks. This shot is still my all-time fave from last year. It was part of my Holiday Housewalk tour. 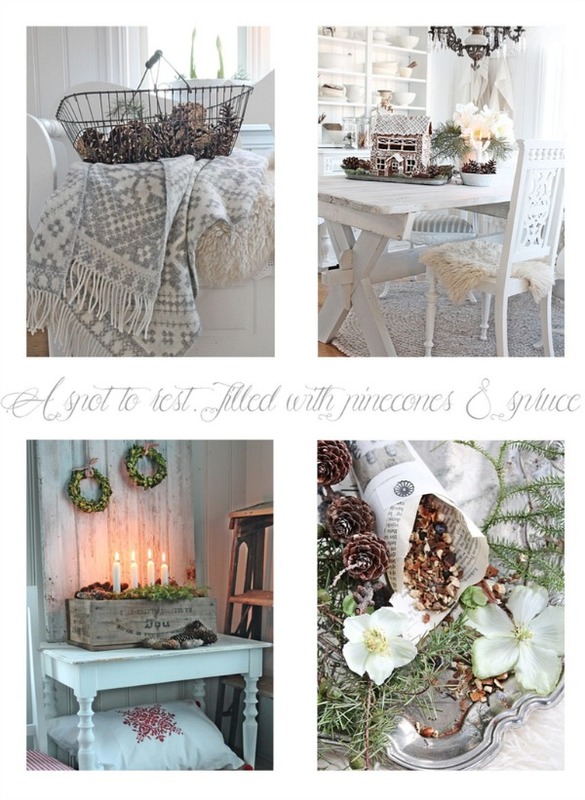 Here’s a sample from Vibeke Design. 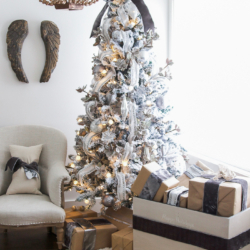 Her gorgeous Scandinavian home is to die for. 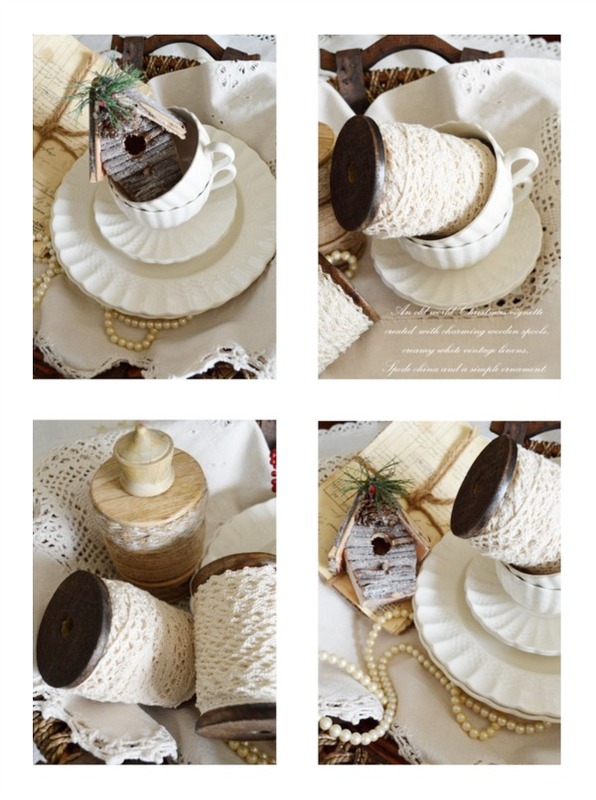 I love this vignette of teacups, textures and neutrals from Janet at Rosemary & Thyme. I love every inch of this image! 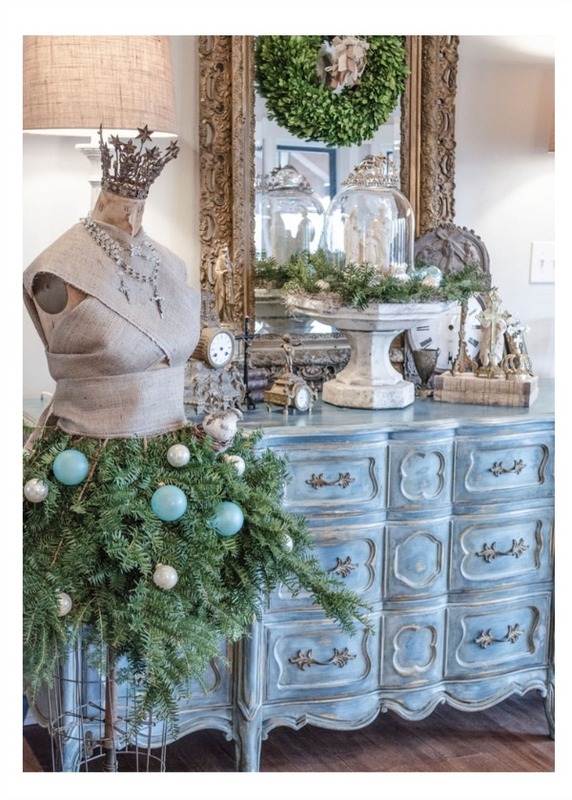 Love that Christmas tree dress and crown from Edith and Evelyn. 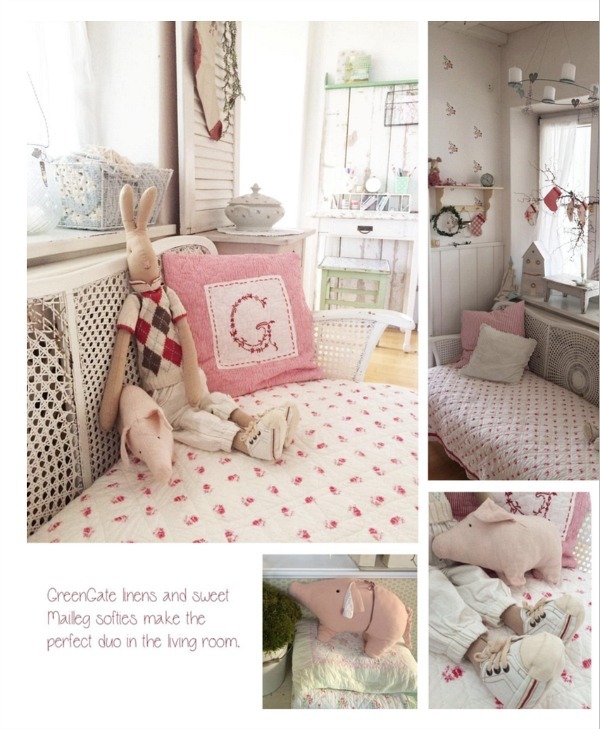 This house is a little girl’s dream. Or a big girl like myself. 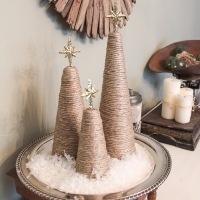 You must see The Handmade Cottage. Be sure to click on the image below to see everything Simply Shabbilicious Christmas 2015 has to offer. Oh I just love all of this! I just subscribed to her emails! She looks like a lot of fun! Way to go Jamie! You deserve to be in that magazine. That tree was awesome! 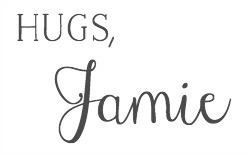 Your home is so beautiful Jamie, so it was an absolute pleasure to feature it in Simply Shabbilicious magazine. Thank you, again, Kerryanne. It was an honour! Merry Christmas. 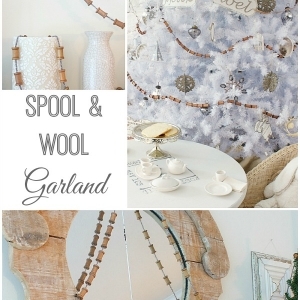 It is so wonderful to discover your lovely blog through Kerryanne. Your home is gorgeous. 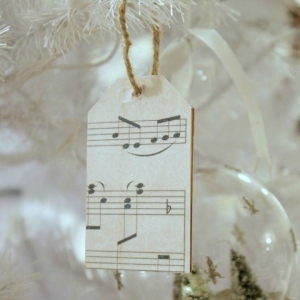 I find your Christmas decorating stunning. I love everything about it. Thank you, Janet. Congratulations to you too! Oh! 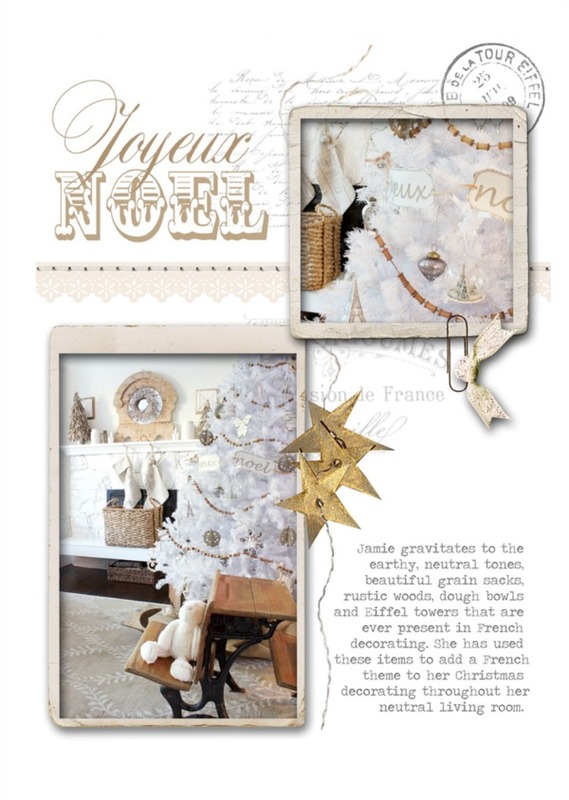 it is lovely magazine with amazing ideas for Christmas. Just lovely, isn’t it? Merry Christmas.